Bollywood superstar Amitabh Bachchan who played the iconic cop Vijay in Prakash Mehra’s Zanjeer in 1973 will not make an appearance in the remake by Apoorva Lakhani which stars South Indian actor Ram Charan Teja. The Zanjeer Remake also features Priyanka Chopra and Sanjay Dutt in lead roles. The entire Zanjeer Team were very keen to get Big B to do a cameo role in the remake, But now Big B has finally cleared the vibes. When contacted director Apoorva Lakhia said, “Although it would be an honour for any filmmaker to have India’s most iconic actor in his film, Amitji won’t be playing a role in Zanjeer.” The latest Zanjeer Remake has a change in the plot keeping the new era in mind. The latest Zanjeer revolves around ‘Oil Mafia’ played by none other but Prakashraj and his war against ACP Vijay which is played by debutante Ram Charan Teja. Amitabh Bachchan has praised the first look trailer of the film by calling ‘Smashing’. 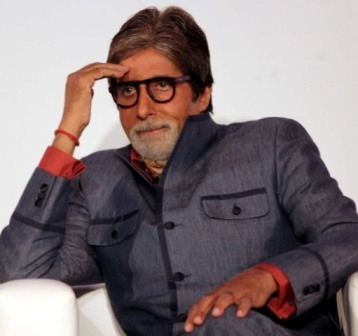 According to the sources, Big B refused the role of a Senior Police officer in the film.